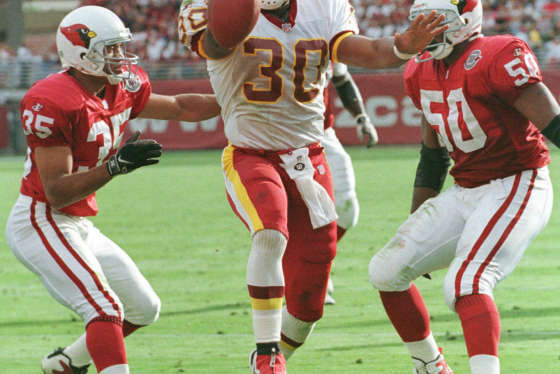 Lifelong fan Rob Woodfork says there's officially nothing Redskins fans can feel good about. 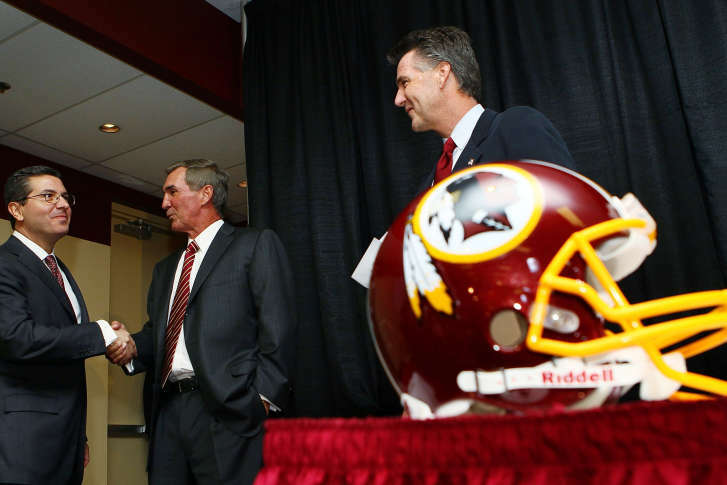 WASHINGTON — The Washington Redskins have once again proven rock bottom has a sliding scale. Just when you think they’ve found it, they discover an even lower rung. If it seems like the Redskins have disposed of a lot of quality talent over the years—it’s because they have. That’s what happened last week, when the Redskins opened the league calendar by losing their three best free agents — wide receivers DeSean Jackson and Pierre Garcon, and defensive tackle Chris Baker — and firing supremely talented general manager Scot McCloughan only two years into his four-year contract for what amounts to him getting too much credit for doing a good job. I don’t even want to get into the rumors. It doesn’t matter whether (or to what extent) McCloughan was drinking. I don’t care how jealous team president Bruce Allen was or wasn’t. The level of owner Dan Snyder’s direct involvement in McCloughan’s ouster is irrelevant to me. The NFL is a results-based business and this is the net result — the last avenue to the Redskins becoming a respectable franchise with a chance to win consistently crashed and burned like everything else they’ve tried in the 18 years since Snyder bought the team. Think about it: Pro-Bowlers in their prime, aging superstars, high draft picks, Super Bowl-winning coaches — none of it has worked. But getting a guy who can successfully customize the roster through the draft and accessorize it with free agency was supposed to be the surefire bet. To functional organizations, yes. The Redskins ain’t functional. No, this organization is run by a narcissist owner and a president of operations more preoccupied with his own interests than those of the team his father led to their first Super Bowl. For some reason, Allen has the juice to win disputes with men that earned multiple Super Bowl rings in other cities (McCloughan and Mike Shanahan) despite sporting a worse record than his much maligned predecessor, Vinny Cerrato. I grew up rooting for the Redskins, so I take no joy in recognizing this franchise as the incompetent, immoral, and classless organization it is. There’s no aspect of its existence that casual observers, the media or even die-hard fans can relate to or take any measure of pride or respect in. The team name is a point of contention in many circles, the owner sues little old ladies, and while a few likable players pass through Ashburn, much of the roster is comprised of men more mercenary than the kind of “core Redskins” that were the hallmark of the great Joe Gibbs Era. Even before Gibbs, this was one of the great NFL franchises. Sammy Baugh. Bobby Mitchell. Sonny Jurgenson. George Allen. Hall-of-Famers and Super Bowl appearances graced Washington every decade Snyder wasn’t involved in. Now a cloud of confusion and dysfunction prohibits any regime in Ashburn from staying in place long enough to really take root. This latest episode is so bad I think the NFL should at least think about intervening. Such a move wouldn’t be unprecedented; the NBA did it with the Los Angeles Clippers during the Donald Sterling controversy. While Snyder’s words haven’t been as grotesque as Sterling’s, Snyder shouldn’t have to run his team into the ground for three full decades before someone steps in. (Commissioner Roger Goodell doesn’t have the spine or the integrity for such intervention, so I recognize this is a pipe dream for me and all of D.C.) Danny Boy owns the single most disgraceful franchise in professional sports and it’s more than just a bad look for Washington — it’s a bad look for the entire National Football League. Personally, I haven’t given Snyder a red cent of my money in nearly a decade. I haven’t attended games. I haven’t bought merchandise. I watch Redskins games because I’m paid to (that, and it’s kind of force of habit after 25 years). This is basically the only way fans can be heard: Stop helping the Redskins be the NFL’s third most valuable franchise. The only way something changes here is if Snyder’s bottom line changes. He walked into the owner’s box knowing full well that the Redskins are the top team in town, both in legacy and popularity. Right now, the Wizards are arguably the best they’ve been since the championship team of 1978-79. The Capitals and Nationals are perennial playoff teams this close to a championship. This puts the Redskins one more decade of futility away from gaining the one thing they’ll take decades more to recover from: Fan apathy. Once that sets in, maybe then Washington will get the change it deserves. In the meantime, the most powerful city in the world will have to live with the embarrassment of having the most dysfunctional football team in the world.